Voice & Data Service | Duluth Range Communications, Inc.
DuluthRange Communications provides practical solutions for all your business communications within a single source! As you choose us for your business communications you enjoy our emphasis on you, the client! Your business voice, data, sound, video and internet services are handled quickly and easily with only one call so you may focus on your day-to-day business activities and sales opportunities. In today’s business climate, especially, productivity and cost efficiency is crucial to business growth, the core of the services we provide. With our professional consultation you will find smart business solutions suited to your company’s current and long-term goals. Much to your benefit, the days of being forced to contact each separate service provider are gone so you can streamline your business support. • Business Services – Solutions for your telecommunications and data needs. 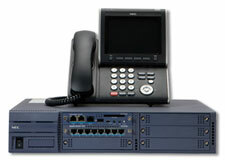 • Telecommunications – Sales and service of NEC and ESI systems. We also represent national and regional telecom companies for your connectivity. • Customer Pride – Standing above with quality products and services for virtually everything you need to communicate in today’s business world.